Welcome to the Soccer Box Brazil Training Kit store. Here you can shop for the latest range of Brazil soccer training kits. This range has been exclusively developed by Nike, and will be worn by the team as they train for matches, travel between games and warm up on the football pitch. The Brazil training kit collection includes jerseys, sweat tops, tracksuits and jackets each designed in the teams famous color scheme and featuring the Brazil football team crest and logos. Brazil training soccer kit makes an excellent alternative to the match day jersey and can worn at the game to show where your soccer loyalty lies. Shop Here for Brazil Football Training Kit While Stocks Lasts! Designed by Nike, the Brazil soccer training kit is expertly crafted and produced using some of the latest technology, ensuring it will perform expertly on the pitch for your favorite Brazil football players. Dri-fit fabric technology is incorporated into the design. This fabric is designed to wick excess moisture away from the skin. Many of the items include mesh inserts and panels that help to increase the flow of air to the skin. If you like to play football or work out add some of the Brazil soccer training kits range to your gym bag. This quality sportswear is sure to enhance your training whilst you are also showing support for the Brazil football team. Order your Brazil training kit from Soccer Box today. Add your selected items to the shopping cart and continue exploring our store. 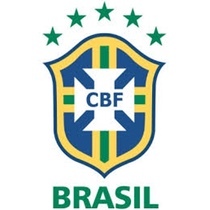 At Soccer Box you can also shop for the Brazil home and away kits as well as a range of Brazil Football Accessories and Merchandise that make great gifts and stocking fillers. Soccer Box has been established 17 years and serving our loyal customers with all their football kit needs year after year. Shop now for Brazil football kits, we offer international shipping, 1st class customer service and great prices every day.